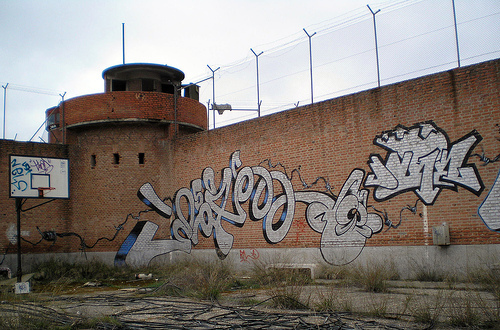 Image of graffiti on an abandoned prison's wall in Madrid, Spain by Brocco Lee. 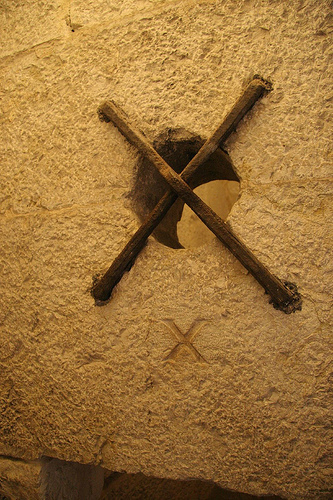 This image was taken inside the old prison attached to the palace of the Doge in Venice, by wonderferret. 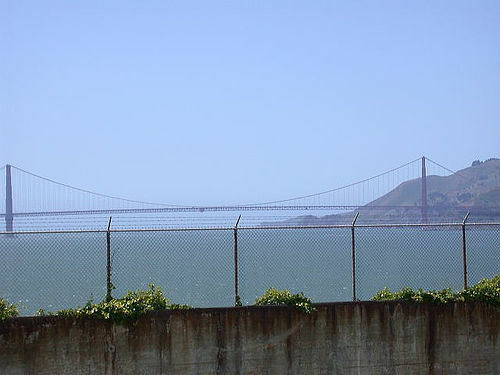 Photo of the Day: "Do what you're told"
This is the view from the exercise yard at Alcatraz. 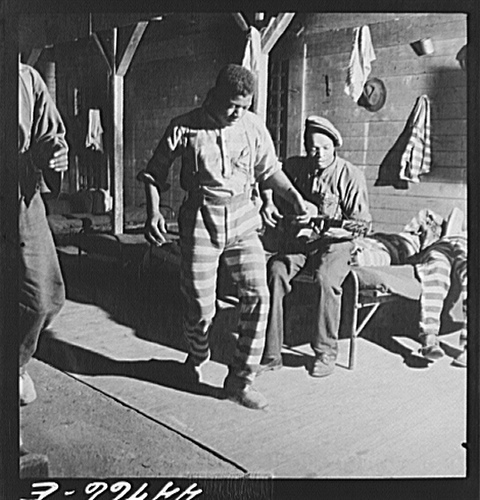 A prisoner dances while another plays guitar in a prison camp in Greene County Georgia, 1941. 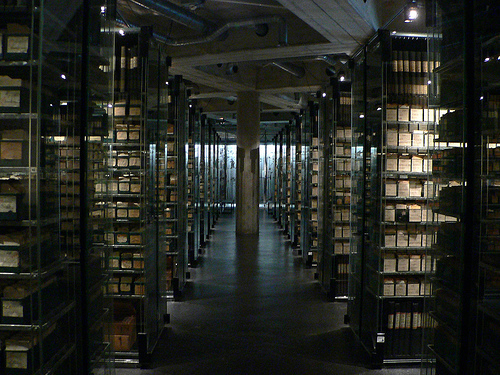 A display of 7 million file cards that the International Prisoner of War Agency made to document prisoners during the First World War. 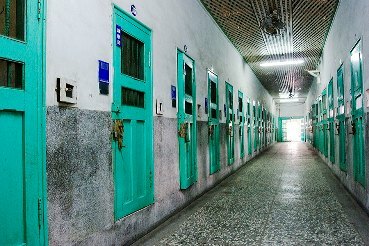 Photographer Craig Ferguson has taken some interesting photos of a Japanese-style prison in Taiwan that closed in 1998. 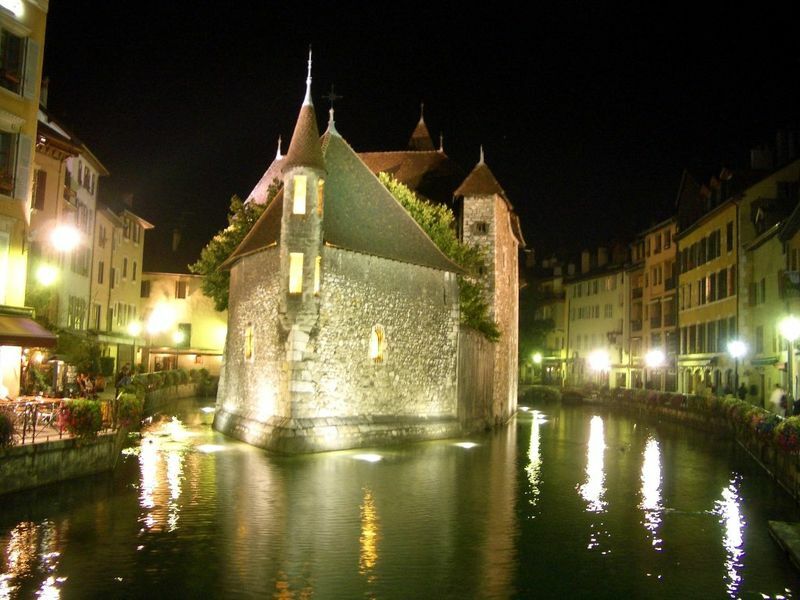 The prison held 300 men and 30 women, and was built between 1919 and 1922. 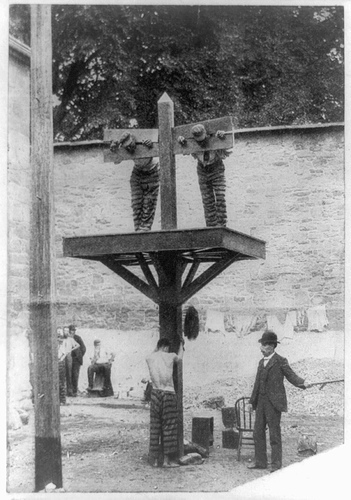 The prison was built around a central hub, like a smaller version of Eastern State Penitentiary. 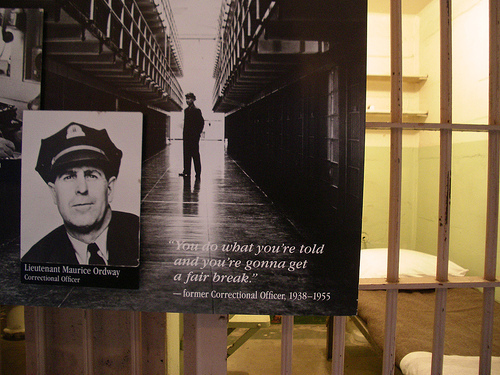 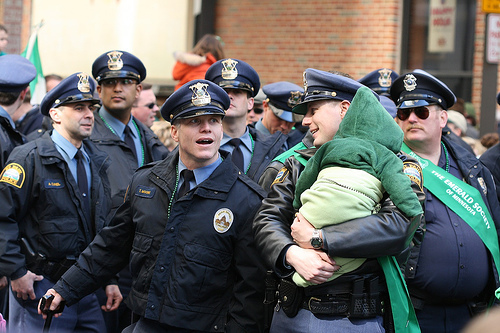 For more of Ferguson's photos of the prison, go here.